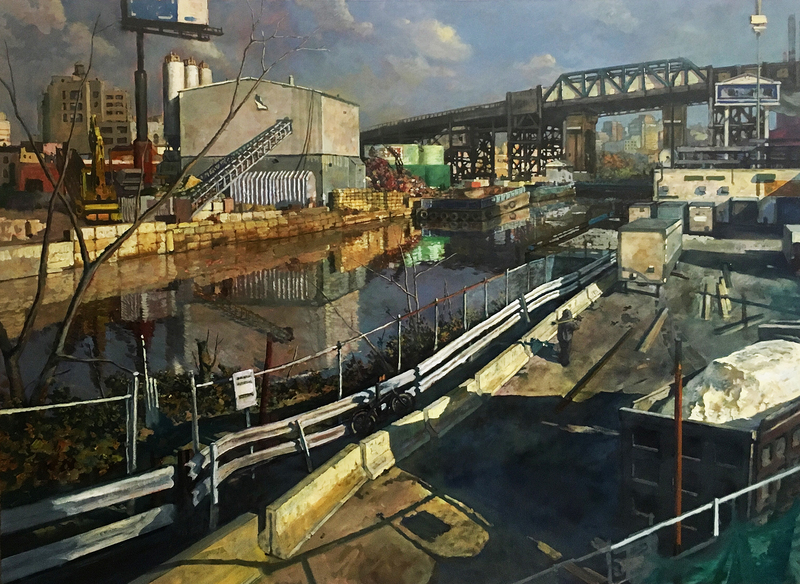 The Lodge Gallery is proud to present The Outer Boroughs; Brooklyn, Queens & The Bronx, a group exhibition exploring the transformative cultural history of New York through contemporary urban landscape painting. Curated by Jason Patrick Voegele, featured artists include: Derek Buckner, Todd Gordon, Valeri Larko, Tun Myaing, Laura Shechter, Pamela Talese, and John Wellington. Paris has it’s arrondissements, Shanghai has it’s municipal districts, and New York has Manhattan and it’s outer boroughs. 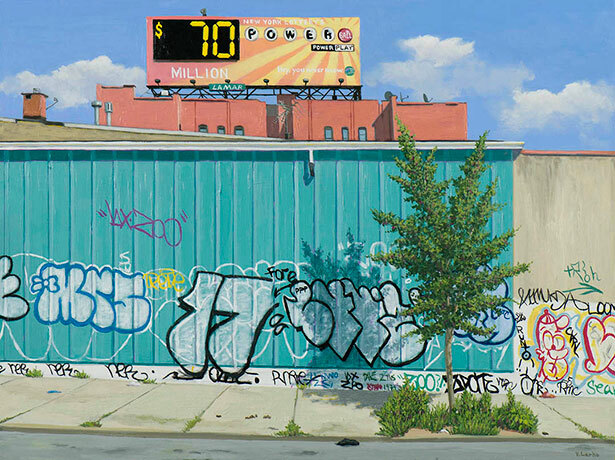 Beyond the historically Manhattan-centric perception of New York as the epicenter of the art world, this exhibition focuses on the cultural history, transformative energy, and transgressive aesthetic of select creative communities within Brooklyn, Queens and The Bronx. 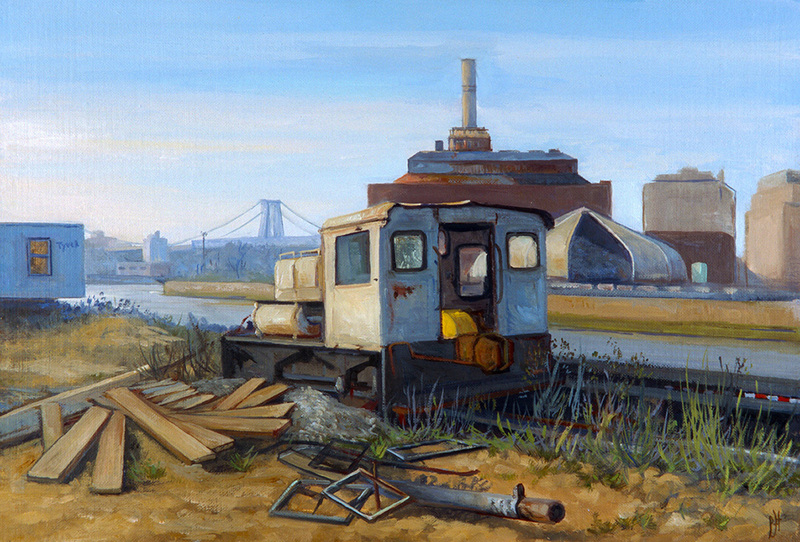 Although each borough represents a unique and differentiated pride and history, all the neighborhoods represented in this exhibition follow a similar repeating cycle of discovery, overdevelopment and decline. Both the blight of urban decline and the variant results of urban renewal are on display. In some works we observe the kind of redevelopment that often creates booms in commercial value, safety and convenience while in others we witness the heavy loss of cultural integrity and the sacrifice of traditional creative output in favor of more subversive and territorial markings. 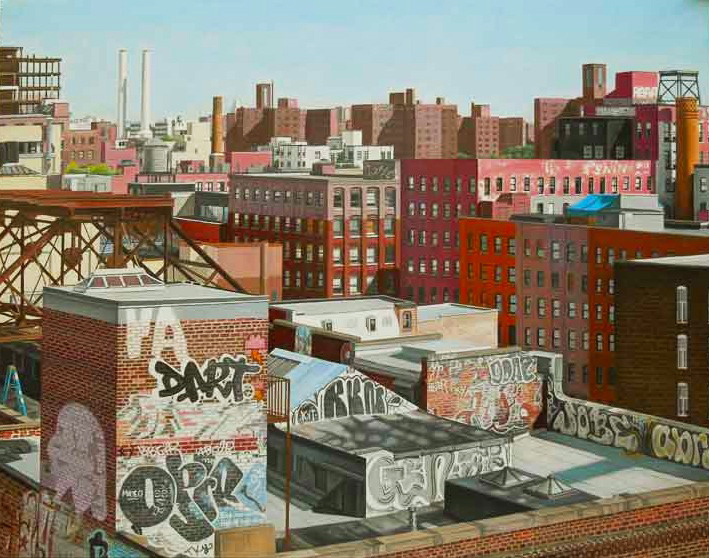 The works in this exhibition are formidable testaments to the only unchanging constant in New York which is change itself. Here, through the beauty of each urban landscape we witness the ongoing dynamic between nostalgia and growth. We witness the skin of the city shifting. Waves of residents once abundant are now gone or replaced; meanings vanish and new meanings are culled out of the flux. As the familiar expires and historic communities loose grip on their neighborhoods to the tune of post industrial triumph and gentrification, this is perhaps a perfect moment to pause and take account of the great creative energies that are born of New York’s outer boroughs in transition.